Stainless steel kitchen appliances are essential elements in kitchens these days, yet most of us know little of the innovation that occurred nearly 100 years ago that made this possible. It was in 1913 that Harry Brearley in Sheffield, England, produced the first ingot of what was later to become known as stainless steel. The more I delved into this story the more it fascinated me, not only because of Harry Brearley’s story, but also because it embodies many of the innovation themes found in many of my other innovation posts. Today, steel has an important place in consumer products as well as the aerospace, automotive, manufacturing, food processing, medical, chemical, petroleum, construction, railroad and marine industries. However we all know that steel has a major flaw……it corrodes, it rusts and will eventually degrade into a powder. Stainless steel does not rust. It contains a certain critical amount of chromium which forms a molecularly-thin layer of chromium oxide on its surface which prevents any further corrosion in a process called passivation. This unique property sets stainless steel apart from other steels and accounts for its importance in our daily lives. Harry’s History [1,2]…Harry Brearley was a self-taught man who worked his way up from absolute poverty. Harry was born in 1871 and was a bottle washer for a chemist at the age of 12. He was promoted to laboratory assistant, was interested in Maths and Chemistry, and eventually became an analytical chemist. At the age of 31 he wrote his first book, “The Analysis of Steelworks Materials”. Harry went to Riga, Latvia as a chemist in 1904, was promoted to Heat Treater and then to Works Manager, and returned to Sheffield after several years. Thomas Firth and Sons and John Brown and Co were neighboring steelworks in Sheffield and decided to set up a joint research laboratory – a modern day skunk-works . In 1909 Harry was 38 and became Manager of Firth Brown Laboratories, their joint research laboratory. Harry was given free rein over his research projects and had co-ownership of any patents that might arise from his work at the lab – incentives for innovation that you will rarely find today . While at Firth Brown Laboratories, he became interested in the erosion and wear-patterns of steel rifle barrels, thinking that steels with high chromium levels might be a solution. In August of 1913 when Harry was making high chromium steels he noticed these steels were resistant to acid etching after polishing (a technique required to study the microstructure of the steel). He also noticed that cut surfaces from these steels did not rust. These steels did not solve the rifle barrel problem, but Harry began to realize that rust-resistant and acid-resistant steel could have many applications – Harry’s technical competency and acute powers of observation were about to lead to a disruptive, breakthrough innovation . Harry tested these steels with acid food products such as vinegar and lemon juice with good results – they didn’t stain or corrode. In 1914 Harry talked about the use of this new steel for cutlery/flatware, as well as for other uses. Until that time, cutlery was either made from carbon steel, prone to rusting and requiring frequent polishing, or expensive EPNS (electro-plated nickel silver) or sterling silver. In 1914 the town of Sheffield was the center of cutlery manufacture. You might think that Harry was at the right place at the right time and that his invention of a rust and acid-resistant steel and the cutlery idea would find an immediate receptive audience. Unfortunately that isn’t what happened. Almost everyone was against the idea and could not see the value of a new rust-resistant steel or its use in cutlery. Firth’s directors refused to supply steel blanks that could be processed into cutlery and refused to apply for a patent. Harry was undeterred. He set out to have some prototype cheese knives made – in other words, he took his project under-ground into what we typically call a skunk project today . In June, 1914, Harry met with the manager of a local cutlery manufacturer who agreed to make some knives with a sample of the new steel. On the first attempt, the knives were made but the steel was very hard and damaged the expensive stamping tools. On the second attempt, the stamping tools were not damaged but the knives were too brittle. 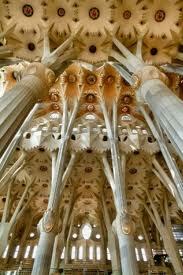 The steel apparently had been over-heated….it could be worked easily when hot but became too brittle when cooled. On the third attempt Brearley attended the run and was able to direct the cutlery maker to use the correct heat for working and hardening the steel and a dozen knives were made – an early example of a technology transfer process implemented at the fuzzy front end of innovation. He worked with a manufacturer directly in making prototypes and so transferred his knowledge from the lab scale to someone who could make these products at the commercial scale. 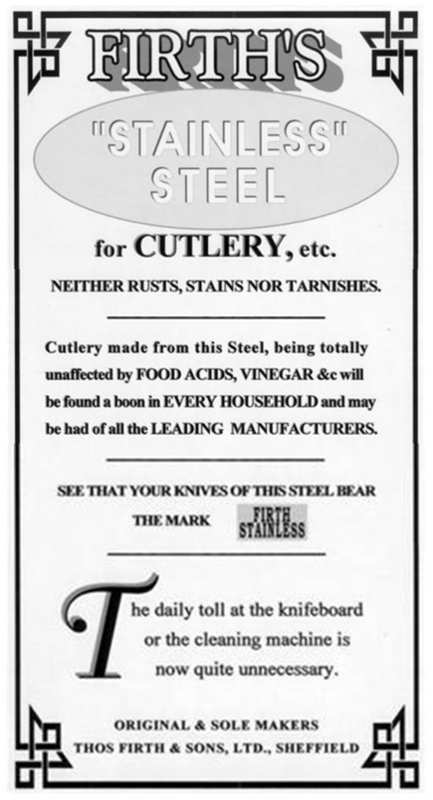 The cutlery maker observed that “This steel stains less”, and inadvertently introduced use of the term “stainless steel”. The steel was quickly accepted by other cutlers in the Sheffield area and within two months they had ordered seven tons of the new steel that previously was considered worthless. Brearley felt wronged by the Firth’s directors who had refused to supply blanks and would not apply for a patent, and so gave his resignation at the end of 1914. Although the manufacture of stainless steel products made it impossible to file patent in England, Harry applied for a US patent on March 29, 1915. It was initially rejected but granted on September 5, 1916. To overcome existing patent applications for chromium steels, Harry did not patent the alloy but rather cutlery made with the alloy. Thomas Firth and Sons then realized that the patent might hinder their US operations and offered to purchase a half share of his patent. Brearley agreed only if they established a Firth-Brearley Stainless Steel Syndicate which he hoped to manage. An early ad (1915) for stainless steel cutlery can be seen on the left here. In the US, an unexpected patent problem turned up. Elwood Haynes, a noted US industrialist had applied for a patent for a metal tool containing iron, chromium and low carbon. He had filed his application just a few days before Harry Brearley’s and opposed the granting of Brearley’s patent by applying for an “interference” . The patent problem was resolved when the Firth-Brearley Stainless Steel Syndicate established a patent-holding company, “The American Stainless Steel Company”, in 1918 and offered the Elwood Haynes partial ownership of the new company in exchange for his patent – an example of how new business development licensing projects and joint ventures can eliminate barriers to commercializing innovative new products. The two patents together became a formidable barrier to anyone planning to make stainless steel without paying the company royalties. The American Stainless Steel Company continued to operate profitably until 1929 but dissolved in the 1930s. Back in England, Harry Brearley was hired as Works manager of Brown Bayley’s Steel works in Sheffield from 1915 until 1925 when he retired. Harry continued to write books and was a director on Brown Bayley’s board until his death in 1948 at the age of 76. Innovation Lessons Learned …Harry Brearley had a unique set of innovation characteristics and personality, but there are common themes that are seen in other great innovators. In Harry’s case, although, there is no doubt that he was a good example of a technical expert who developed a very good knack for business. 1) First, innovators typically have deep technical expertise. Harry knew the business of steel making inside out and wrote several books on it. He was in the forefront of experimenting with new types of steel and developed techniques to work and harden them. 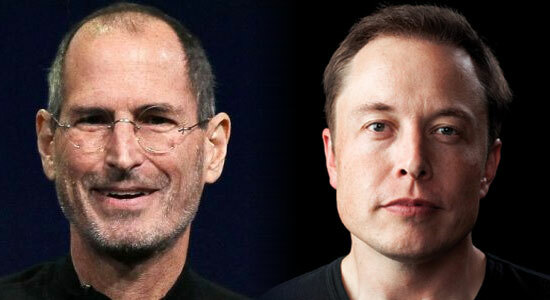 He was a person with the necessary skills and experience to recognize new innovation, unlike his non-technical bosses. When he made his discovery his deep technical content enabled him to draw inferences, make connections, use his intuition and look into the future, understand the significance of his discovery, and know what to do about it. 2) Another unusual situation occurred that helped this innovation …the formation of the joint research laboratory for the neighboring steelworks. This, in today’s language, was the formation of a “skunk-works”. We have seen this happen before in other innovations I have discussed  and often the formation of a dedicated innovation center (i.e. skunk-works or research lab) precedes and is catalytic for an important innovation later. Harry saw the opportunity in this new position and modified the terms of his contract so that he was given free rein on the projects he could choose as well as 50% ownership of any patent rights. In modern companies, research workers assign their patent rights over to the company, but I believe if modern companies allowed inventors to retain some ownership in patent rights, that might be a good incentive for innovation. Also, non-directed research is very rare. Today, even basic research grants are nearly always in fields where success is guaranteed based on previous work and are conservative in nature. Industrial labs now are tightly controlled to do research only in specific, applied areas. The era of Bell Labs is over for industrial research institutions although organizations such as Google[x] have been formed recently for the purpose of developing major technological developments or “moonshots”. Any incentive which allows for some non-directed research will, in my opinion, be rewarded with good results. 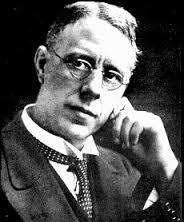 3) In spite of huge skepticism, Harry Brearley remained committed to his idea and never gave up. There was persistence, almost an obsession to get this idea to market and commercialize it. 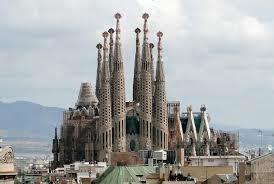 This persistence, his technical competence and several other attributes were also present in other inspirational innovators that I have also written about such as Antoni Gaudi . 4) Harry Brearley quickly developed practical prototypes of his idea. 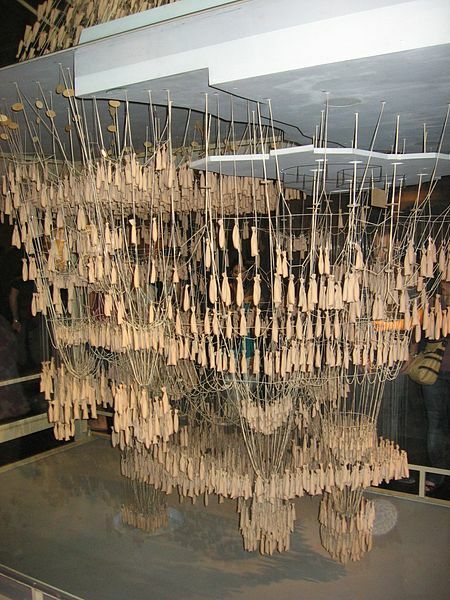 Without making these prototypes, customers and suppliers could not have seen the value of his idea and would not have been able to compare his product to existing products. It also had the added value of letting Brearley develop the correct processing instructions for manufacturing his product. In other words, he developed a successful technology transfer process for commercializing his innovation. 5) Harry recognized that the timing was right and immediately pushed forward with his ideas. 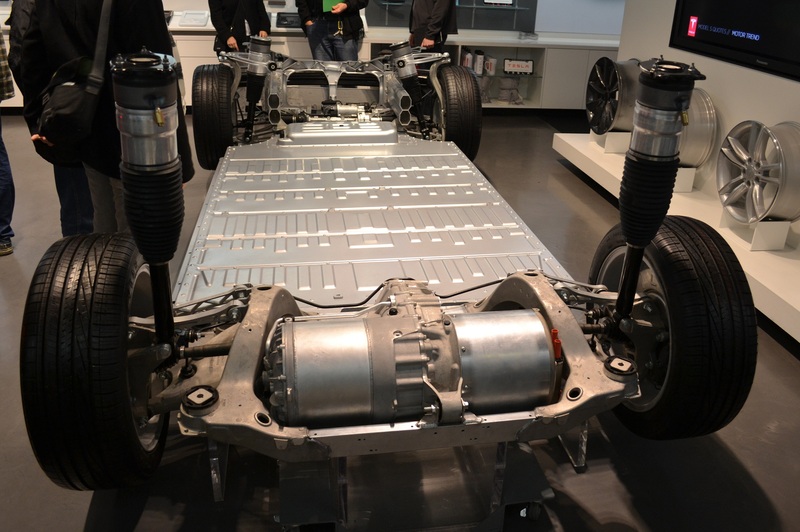 Several new industries were emerging, such as autos, aircraft, medicine, engines, marine components etc that needed a material that was light, strong and corrosion free. 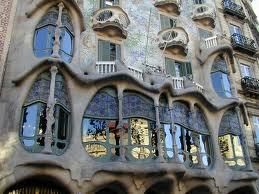 Aluminium was available as a possible alternative but was extremely expensive and soft. Stainless steel was less expensive and could be made in a way that its corrosion-resistant, tensile and ductile properties could be controlled. Consequently it was used in many of these emerging industries in new applications thus nucleating a whole series of new innovations. The discovery of stainless steel occurred at the right time. 6) Brearley understood the full commercial potential of his idea and had enough commercial business savvy to realize that the US market was important. Harry intuitively understood what the sharp back end of innovation was… he commercialized his ideas quickly, successfully, and in the case of the US patent holding company, in an unusual “win/win” situation. Harry Brearley was able to understand that even though the train had left the station in terms of getting a patent in the UK, it was still worthwhile trying to get a patent in the US. Because of this, he was able to form the American Stainless Steel Company, partner with Elwood Haynes, create an additional revenue stream and further promote the commercialization of stainless steel. Eventually a whole new stainless steel sub-industry was created around his ideas. Creative and Adaptive Innovation Models …As discussed previously in my blog , innovators can be classified as either creative innovators or adaptive innovators. Creative innovators, like Leonardo da Vinci, are gifted ideators but are not so good with execution. Adaptive innovators, like Thomas Edison, tinker with ideas, make prototypes until it they work perfectly and are strong on the execution side. The development of stainless steel is an example of creative innovation followed by adaptive innovations to develop and commercialize new products using the breakthrough innovative new material. The creative innovation was supplied by Harry Brearley in developing the first stainless steel and in realizing its potential for several products. However many adaptive innovations occurred afterwards both by Harry Brearley and by many others that resulted in the development in scores, maybe hundreds, of different stainless steel variants, each fine-tuned for a specific niche market. Many other innovators then developed new uses and products for stainless steel, thereby causing a rippling innovation effect. 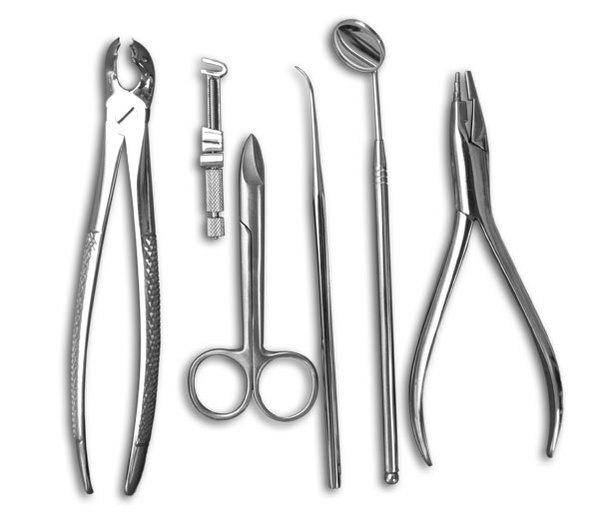 Stainless steel is used in food processing, medical surgical instruments, marine parts, pumps, construction and aircraft manufacture to name a few. Summary …Harry Brearley had innovative skills to develop and commercialize one of the most important alloys ever discovered. 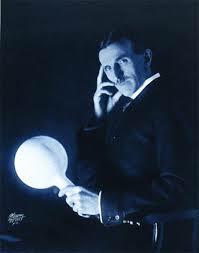 He exemplifies an innovator with both creative and adaptive tendencies. He was not the first person to study the effect of adding chromium to steels. 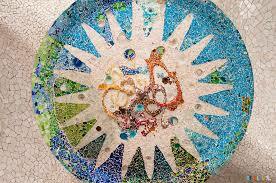 He was also not the first to notice that chromium inhibited the corrosive properties of steel. He was, however, the first to understand the importance of these qualities and the first to see many of the commercial opportunities that this new material could provide in developing novel products with unique properties. Of all my posts on innovation, this example best reinforces several themes I have discussed before …the formation of a joint research lab (skunk-works), the importance of prototyping and developing a scale-up process, an obsession to commercialize, the right timing, and the power to be able to influence others when you are a technical expert. I have often thought it would be great to have alternative ways to commercialize ideas outside of the traditional New Product Development (NPD) processes I had to use. After having spent most of my working life in R&D and managing R&D groups in large companies, I recall my disappointment when an idea for a new product was rejected only to have another company successfully develop a similar idea later. Recently new innovation models have been launched on-line that allow new product ideas to be commercialized quickly by anyone with a passion and great idea. I believe these new models for innovation are going to unleash a new wave of innovation and may cause companies to rethink their New Product Development (NPD) processes. Online social networks have created new and exciting models for inventors to interact with consumers, obtain finance and develop products. New websites and their associated social networks offer the innovator completely new ways to test, fund, develop and market new products within an online community without needing to develop his own company, or have access to traditional venture capitalists, or sell their rights to another company. The Power of the Crowd… These new methods involve crowdsourcing, crowdfunding and crowdvoting within the context of a social network. Crowdsourcing is the practice of obtaining ideas, direction and content from a large group of people, usually in the form of an online community. Crowdfunding is the practice of getting financial backing from a large group of people, again from an online community. Crowdvoting is a method of getting a large group’s opinion on a certain topic, in this case, about an innovation idea or innovation project. By using these methods within a social network, it is now possible for an innovator with a good idea, to fund, develop and market a new innovation entirely through crowdsourcing. These new models of innovation enable innovators with almost no resources to commercialize their ideas quickly with a high degree of confidence. Some models allow the innovator to retain 100% ownership whereas others essentially guarantee a royalty stream in perpetuity. I am going to describe two different sites that utilize many of these practices and provide alternative models for innovation of new products. For transparency, I am in no way promoting either site or have any affiliation with either site. They are merely examples of new innovation models utilizing crowdsourcing and social networking techniques. Quirky… This site  enables innovators to submit an idea for consideration for development and commercialization using Quirky methodology and resources. The site uses its online community to vote on the idea, help modify it, and enhance it; the site/users also develop copy and marketing for it, name it and price it. Quirky retains ownership of any IP in the idea if it moves forward in the process. Even if the idea submitter holds a patent, they must provide Quirky a license for the idea to be considered and if the idea is commercialized they must assign ownership of all IP to Quirky. If an idea is selected, Quirky provides the financing and has a rapid prototyping shop that takes the idea and develops a working prototype so that the manufacturing process can be quickly defined. Quirky has relationships with several third party contract manufacturers to manufacture the product. After the new product has been manufactured, you can buy the products at an online store at the Quirky website or at other affiliated retailers in Quirky’s distribution chain. In essence, Quirky lets regular people who have smart ideas but who have no experience with patents or marketing to partner with an invention company that manufacturers the product and then splits the profits with them. Quirky shares 10% of gross revenues of a new product with influencers (people who had a hand in the development of the product). Idea submitters get 40% of the total influencer budget (i.e. 4% of gross revenues). Various other influencers (designers, tagline developers, marketing developers, product enhancers) get smaller pre-defined cuts of the 10% according to a formula Quirky has on its website. Kickstarter… This site  also uses the practices of crowdsourcing, crowdfunding and crowdvoting to finance, develop and commercialize mainly art projects such movies, music, games, theater, dance etc but also has a technology section. Kickstarter’s mission is to bring creative projects to life and is different from Quirky in that its members provide the financing for projects and the innovator is responsible for development of the new product or service. People from the Kickstarter online community who back Kickstarter projects are offered tangible rewards and special experiences in exchange for their financial pledges. Project creators choose a funding deadline and a minimum funding goal and post their project on the Kickstarter website. If the funding goal is not met by the deadline, no funds are collected, and the project does not start. There is no guarantee that people who post projects on Kickstarter will deliver their projects or use the money to implement their projects, or that the completed projects will meet backers’ expectations. Additionally, projects might fail after successful funding because creators underestimate the total costs required or because of the technical difficulties to be overcome. The innovator/creator retains 100% ownership of the idea, uses the money raised to develop and commercialize the product and Kickstarter takes a 5% fee of the money that has been successfully crowdfunded. 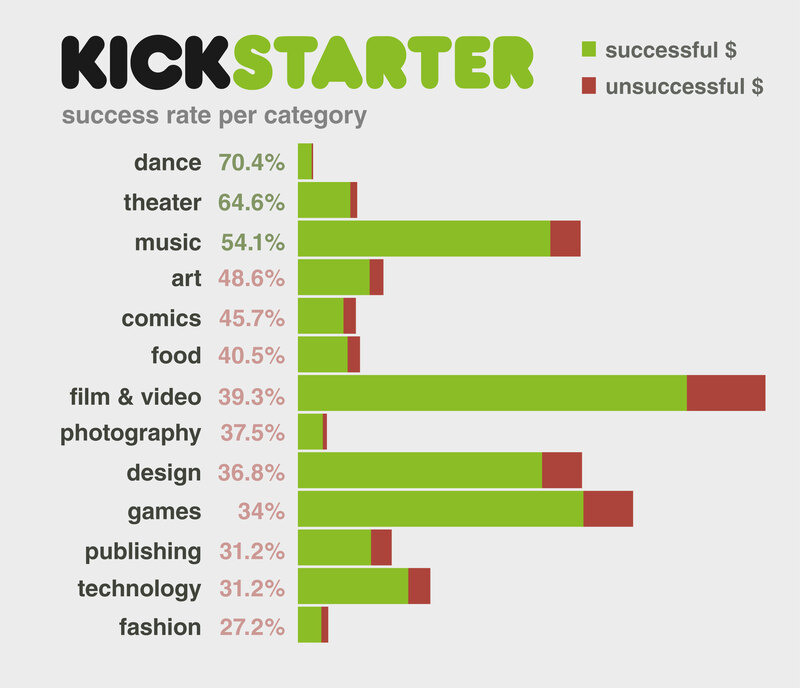 Kickstarter states that 75% of submissions are successfully funded. Wikipedia says that the success rate of launched projects is approximately 44%. Effects on Innovation in Large Companies… As a general rule, late adaptors to new technology lose competitive advantage and struggle to recover. So it’s important to learn from other industries that have been slow to recognize and adapt to the crowdsharing effect – remember the sobering legacy of Napster and the erosion of royalty income to songwriters and performers until iTunes and other products emerged. In the R&D sector we need to explore using crowdsourcing methodologies in our internal New Product Development processes and consider providing additional resources to “mine” and review product concepts generated in the social networking space. Some of these new methodologies could be applied to the NPD processes in companies but I suspect many will be resistant to implementing them. Many large companies currently seek consumer input for new products during the early development process. Typically this occurs via studies conducted by their Market Research groups. The use of social networks and online communities by companies to expose consumers to new products in development might reduce the cost, time and need for extended Market Research studies. The accuracy of Market Research might also be improved using this methodology as well as provide useful input for better design of the new product. Rapid prototyping is another area that many large companies have used internally to quickly evaluate if a product concept can be successfully scaled-up from a manufacturing point of view. Decisions to fund a new project in large companies are often made by Upper Management or by a NPD Portfolio Governance Board using a stage-gated process . Currently this part of the process is managed tightly and internally but there is scope here to learn from the social networking methodology. Crowdfunding and crowdvoting might also be a way for smaller companies to partially fund the development costs of some projects while getting valuable market research. Customers might be offered discounts on the future new products as a way of getting them to crowdfund a new product. Companies might also consider using social networking methodology to provide incentives to internal and external innovators based on a formula similar to Quirky. Rewards are given for contributors to the development of the new product based on a formula which assigns a numerical score depending on what they exactly contribute…. A certain reward for the idea generator, another for the product designer, another for the tagline etc. These kinds of cooperative relationships might prove to be formidable competition for larger companies whose size, bureaucracy and ego may relegate them to the late adopters’ category. Open Innovation… I have talked about the use of open innovation by companies in previous posts [4,5] but this usually involves limited crowdsourcing ideas and product concepts or using expert consumer panels to evaluate product concepts or prototypes followed by traditional new product development processes, either internal or external, and commercialization via traditional company marketing channels. The new models of innovation discussed above, especially Kickstarter, are really examples of open innovation that circumvents the traditional corporate product development role. In the case of Quirky, all ideas originate outside the company and all subsequent decisions and development are heavily influenced by open innovation concepts but are conducted by Quirky using their process. This does not mean that the traditional R&D model is now redundant. Confidential proprietary projects/products will always create competitive differentiation. Only now there are additional new ways to initiate, develop and sell new products to integrate into existing NPD processes and there is a vast external product development landscape to monitor and new businesses to license, purchase or partner with. Summary… Crowdsourcing through social networking and open innovation in its many forms are going to be a new paradigm for innovation. Kickstarter and Quirky are examples of new models of innovation that allow anyone with an interest and passion to become involved in innovation. In fact they could be considered as extreme forms of open innovation that apparently are doing well and growing. Crowdsourcing and open innovation that heavily utilize social networking are successful ways to overcome barriers to innovation, not only for the lone innovator without resources but increasingly so for companies with traditional NPD processes. 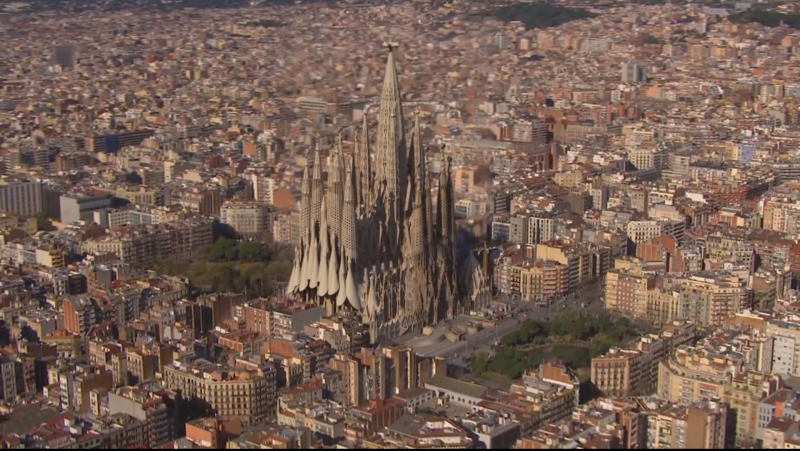 What happens when you believe in a project that no-one else believes in? Sometimes your gut tells you that an idea is so good that you can’t afford to drop it. These situations are tricky: if you go “underground” with the project and it turns out to be viable then you are a hero, but if the idea is bad you will likely be sidelined by labels such as “maverick”; “not a team player”, or worse still “unmanageable”. In these situations I have asked my group to quietly do some feasibility work on the idea and hoped that I could find someone in Marketing to become excited in the idea. Or if I thought, for example, that a large retailer was going to require customized packaging for a product, then I might start conducting stability testing under the radar. These projects are commonly called “skunk projects”. I was having my coffee this morning and thinking about how to write about managing skunk projects when there it was….right in front of me. We recently bought a Nespresso coffee machine and milk frother and I started to read about the history of the development of this product. It’s amazing how innovation is all around you if you look closely enough. The more I read about the development of the Nespresso system, the more I realized it was a perfect choice as a case study in how to manage a skunk project, but more about this later. Innovation Status Quo in Large Corporations… Recently I have been wondering if true innovation can really exist in large corporations. Can innovation actually happen in a large company where managers are trained for and evaluated against their ability to keep things running smoothly i.e. “the status quo”? These managers follow detailed procedures and systems and for many this leads to inflexibility. Venturing out into new and unexpected territory is something that these managers just do not do, nor are they expected to. Initiating a skunk project is certainly something most of these managers would avoid. So, given this type of status quo management culture in many large companies, is disruptive innovation possible or is it relegated only to small, nimble companies? 1) A competitive imperative is required. It may be useful to think of competition in business as like “war” for market share. Wartime is when many new technologies are pushed into development. It’s a “necessity is the mother of invention” kind of mindset. 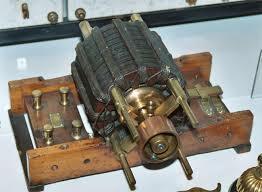 Jet engines, radar and cryptology are a few examples of wartime innovation. Innovation workers in today’s large organizations need to be motivated to innovate by a competitive imperative, whether it is a declining market share, fear of what a big competitor might do, fear of the business failing, or aggressive internal goals; remember Jack Welsh’s imperative that “GE businesses had to be number 1 or 2 in the market”. 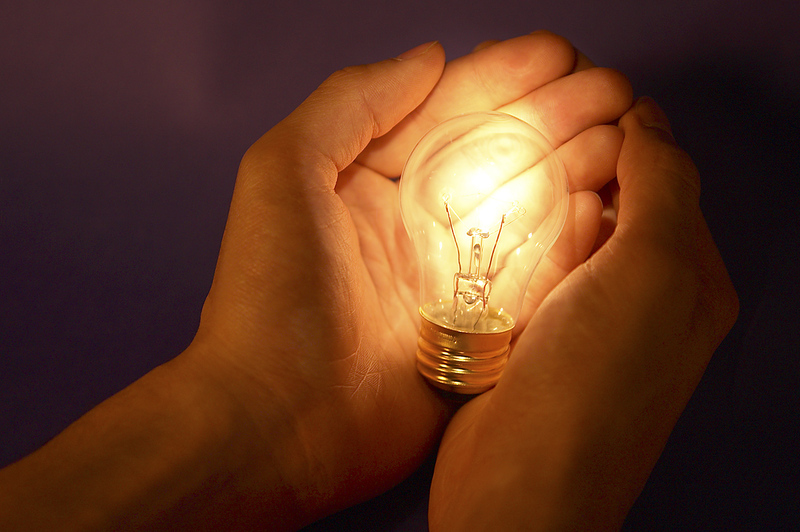 These competitive imperatives seem to be necessary to generate innovative ideas. 2) Identify and protect entrepreneurs and innovators within your organization. These people can be “pains”, difficult to manage and often do not follow the rules, but that is exactly why you need them….they also think outside the box, are passionate about their projects/ideas, can take an idea, believe in it and take it to market successfully against all odds. Skunk projects start with these people. 3) Find a high level champion with long term vision. If entrepreneurs and innovators cannot find internal high level champions, their projects will be doomed more often than not. This means that organizations need a communication mechanism between Upper Management and entrepreneurs/innovators. This needs to be something other than a formal NPD governance meeting; it should preferably be something more informal. High level champions will protect the project from the many internal critics who will provide resistance, while they simultaneously create value by building a robust product pipeline. 4) Persistence to get to market against all odds. In case studies about disruptive innovation this stands out as a key factor. Many innovations make it to market only because of the persistence of a few key individuals in a company who totally believe in the idea, which often starts as a skunk project. Obviously this must be balanced by objective data. Negative market research data should be taken seriously but I am struck by the number of important innovations that did not have very positive market research data initially (or some other form of bad data like high production costs) but were pushed to market in spite of this data and eventually were very successful. 5) Right timing. The timing of a new market introduction can be everything. If you launch too early the product may not take off. If you launch too late you might be a me-too product, undifferentiated in the market. The Nespresso System … So getting back to my morning cappuccino, the development of the Nespresso System  by Nestlé  is a great case study that exemplifies innovation in a large corporation utilizing the five key factors listed above. The Nespresso system consists of high quality coffee specially processed and packed in aluminum capsules for use in specially-designed machines. It is targeted to the home market. The distribution system for the capsules utilizes direct consumer marketing via a “club” that can be contacted online or by phone. Nestlé is a large conservative food company; it’s essentially a consumer packaged goods company, so how were they able to develop a machine, a new coffee packaging system and sell these products using a non-traditional (for Nestlé) distribution system and turn this into a very successful business? Nestlé … Nestlé  is one of the world’s leading food companies, with sales of SFr 92 billion [2,3] in 2012 and approximately 330,000 employees. It is a very large, conservative organization; one where innovation might be expected to have a large number of barriers and where innovation might be difficult. 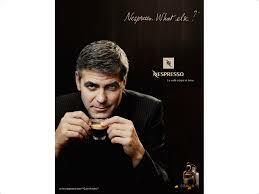 Yet Nespresso was developed and slowly nurtured into becoming a mature business. 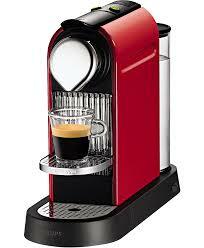 Nespresso sales in 2012 were SFR 4.3 billion , nearly 5% of total sales but it took more than 25 years to get there. Beginnings … As with the start of many innovations, the idea and technology originated from the R&D group at Nestlé’s research center when they acquired the rights to commercialize the idea in 1974 . Nestlé dominated the instant coffee market at the time but had no significant presence in the much larger roast and ground (R&G) market. The idea was that Nestlé would be able to develop and market an individual-portion coffee system that provided premium-end or “gourmet” coffee that was easy to make and did not require complicated equipment and operator skill. The project started as a skunk project. R&D developed the system without talking to marketing and pushed the project forward in spite of considerable internal skepticism. Nestlé’s food service division eventually showed some interest and a market test was conducted in Swiss restaurants but that strategy was soon switched to the bigger office coffee segment . The Satellite Company or “Skunkworks”… Around this time in 1986, Nestlé did a surprising thing. They created a separate company, called Nestlé Coffee Specialties (NCS), to further develop, produce and market the Nespresso System. In other words, they converted the skunk project into a “skunkworks”. They also hired an “outsider”, Yannick Lang, to manage the new company, which was an unusual thing for Nestlé to do. Lang soon realized that affluent middle-aged consumers would enjoy drinking restaurant-quality espresso at home and that they were his best target market segment. At the time, cafes were opening up in Europe and coffee stores like Starbucks were starting up in the US. Very little market research had been done on the household market and what had been done was not that favorable, but Lang was able to convince Upper Management in 1989 to launch the new household strategy in Switzerland as a test market for one year. Interestingly, Lang was able to convince them to disregard those early market tests by pointing to similar tests of fax machines and mobile phones which were also initially disappointing and persuasively arguing that consumer research for disruptive innovation is not necessarily accurate . Lang also changed the distribution strategy and created a Nespresso Club, using a direct marketing channel to stay close to the customer. By 1995 he had achieved breakeven and soon thereafter Nespresso became one of Nestlé’s fastest growing business units. However the “skunkworks” days were over and in 1997, Lang left and a new manager, Willem Pronk, took over NCS. Pronk was a Nestlé man and was tasked to scale the business from SFr 150 million to SFr 1 billion in ten years . By 2006 sales reached SFr 1 billion for the first time and have continued to grow to the current rate of Sfr 4.3 billion in 2012 .
a) Persistence: R&D needs to be passionate about the projects it believes in. Without the R&D push in the face of skepticism, the Nespresso product would never have made it to market. Marketing also needs to be persistent. New, disruptive innovations often do not test well in market research, at least initially. Market concepts have to be refined and marketing strategy might have to be completely rethought until a winning product concept can be marketed. In the Nespresso case all the initial market research for the household market was disappointing but the team continued to believe in the concept and kept pushing it. This exemplifies the persistence factor. b) High level champions: Eventually some executive Senior VPs and the CEO got behind the idea even though many others still were not and supported the creation of an affiliate company. They understood the value of a skunk project, created a “skunkworks” which was the seed for a new business and as the business matured, converted the management style back to a main stream management approach. c) A competitive imperative was in place. Coffee was a core business for Nestlé and they were already number one in instant coffee, but sales were flat and they had no offerings in the much larger R&G (roast & ground) market. If they wanted to be a dominant player in coffee, they needed an offering in the R&G market. d) Identified innovators were protected: Nestlé created a new company for this initiative (i.e. the skunkworks) because it realized this was a completely new type of business and operated very differently to Nestlé’s existing businesses. By creating separate marketing and/or R&D entities for major innovations, an organization can gain insight into how the innovation can be developed differently from the base business. e) Infusion of talent from outside the company will often result in different thinking and help propel the innovation to market. Nestlé understood that the Nespresso initiative would fail if a traditional Nestlé manager ran it, so they hired Yannick Lang from the outside. f) Finally senior executives had a long term vision for their company and timing was on their side. 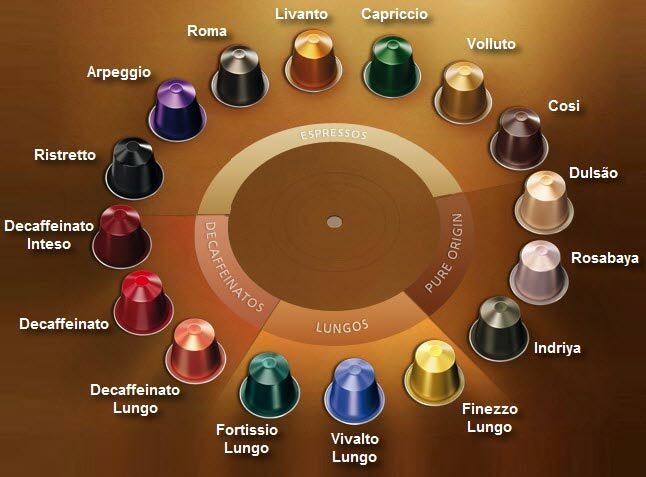 Nespresso rode the wave of popularity in espresso drinking as it evolved over time. Initially, their targeted market segment was very small but continued to expand rapidly and Nestlé was able to grow the business from scratch consistently over two decades into the major brand it is today. They were ahead of the curve, ahead of their competitors and unencumbered by short term success goals. Summary… The Nespresso case study is a good example of innovation being implemented in a large corporation as well as a good example of a successful skunk project. Large corporations and companies tend to have high barriers to innovation, but with some risk taking by R&D in the form of starting skunk projects, some risk taking by upper management to protect innovators and step into the role of high level champions, and attention to the other key factors described above, these barriers can be overcome and true innovation can occur. Ideation, or concept generation, is the first step in the New Product Development (NPD) process but it is often the most difficult step for companies to execute productively. The simple reason for the failure of Ideation is that it is the least well defined NPD step and is at the “fuzzy” front end of Innovation. Typically Ideation is defined as, “identifying and defining consumer accepted product ideas and potential product concepts for market introduction”. Here I share some of my own personal experiences and opinions about what works during the Ideation process. Innovation Teams … Ideation works well when it uses an Innovation team. This team may be an on-going team that works in a particular product category or it may be an ad hoc team formed to create new product concepts because of existing market pressures, such as a loss of market share or a competitor’s successful new product introduction. These teams are normally most successful when they draw people in from all parts of the company, not only Marketing and R&D, and when they are an on-going team embedded in an Innovation culture. However Innovation teams are not the source of all idea generation; in fact far from it. Ideas can come from anywhere inside the company or even from outside the company if the company has a strong Innovation culture. Bill Gates used a “suggestion box” where he solicited product ideas from anyone in Microsoft. He would spend a week in retreat going over these ideas and fund the ideas he thought were most relevant. 3M had a program where anyone could suggest an NPD project. If accepted, the originator of the idea would be given “seed money” to prove its feasibility, and if feasible, might be asked to join the development team. Many “best in class” companies also use Open Innovation where outsiders, typically consumers or expert panelists, are involved in the Ideation process. The “best in class” Innovation team is the mechanism for sorting and vetting product ideas and translating and adapting those ideas into product concepts that consumers will buy. The critical “adaptive” work at this stage of the NPD process is in producing detailed product claims, branding and other marketing details, packaging, pricing, and technical details including any new or existing technology platforms. However many companies lose sight of this more detailed goal of the Innovation team, and instead get giddy about a creative new idea and jump ahead with a project too quickly. Discipline at this stage is critical to future success. Strategy must be in place … But before the team can start working together, several things have to be in place for Ideation to be successful. First, the company has to have a corporate strategy as well as an innovation strategy in place. The corporate strategy will outline in general terms the markets, market categories, market segments, sales channels and geographies in which the company will play. Innovation strategies were discussed in a previous post1 and address questions such as….Does the company want to be an innovator or a fast-follower? Are they looking for disruptive innovation or sustaining innovation? Are they looking for a “big idea”, a line extension, a product improvement or a steady stream of all three? These two strategies will help direct the Innovation team when they begin the Ideation process. Creative and Adaptive Innovators … As discussed above, the composition of the Innovation team is very important. Team members need be interested in innovation and must be able to work together collaboratively. Not only should the team be diverse in terms of representing different parts of the company but team members should be an even mix of creative innovators and adaptive innovators. Think of “Leonardo da Vinci” types of people as “creative innovators” and “Thomas Edison” types as “adaptive innovators”2. Adaptive innovators are skilled at refining and modifying the ideas that creative innovators originate and will generate practical product concepts that consumers want. Many companies focus too much on brainstorming and place less emphasis on other aspects of Ideation such as the role that adaptive innovators play. An Innovation team with too many creative innovators will create a large number of new product ideas but neglect to refine the ideas down to the details necessary for developing successful product concepts. This is where adaptive innovators earn their money. The Innovation Process … How should the Innovation team work? I think it works best if it follows a set process. That might sound at variance with Ideation and the concept of creativity, but the Ideation process is much more than simply coming up with new ideas. The goal is to modify and “massage” product ideas into product concepts that consumers actually want and that are also practical and feasible. The R&D team members in the Innovation team are very important. They need to push for good science and new technology platforms. Good science leads to good products. Most innovative new products that are successful in the market have a technology component which is new for that market segment. testing and reviewing these ideas with consumers again until a “winning” product concept has been developed. Ethnographic research can also be very valuable as an input into the Ideation process. This will help the “creative innovator” team members come up with completely new product concepts. The modifying and adapting of product ideas until a “winning” product concept is obtained is where the “adaptive innovators” will prove their worth. Facilitating the Innovation Team … The Innovation team needs a strong facilitator to guide the team during the Ideation process. Often team members get excited, passionate and attached to certain ideas and it helps if someone impartial can direct and focus the team. The rules of conduct are important. The most productive teams agree to build positively on ideas and do not tolerate meeting “hogs” or disruptive members. Teams which are serious about performing well may even invite a third party to record and analyze meetings for positive and negative contributions3. This is not for the faint of heart or newly established teams but can help propel a team to a new level of performance. At the Ideation stage it is better to keep “rejected” ideas/product concepts in a database for further consideration rather than eliminate them prematurely. The goal is to generate an over-abundance of potential product concepts that can be promoted to the feasibility stage of the NPD process. Ideas will eventually be eliminated at the Feasibility stage for various reasons, such as low consumer interest, technical unfeasibility, too expensive, not manufacturable etc. However, even ideas rejected for technical, financial or manufacturing reasons might become feasible in the future as new technologies emerge and so should be kept in a database for the Innovation team to reconsider periodically. Best in Class Companies … For “best in class” companies, Innovation teams are strongly supported, well facilitated, meet regularly, and generate such a large number of good new product ideas that the company has to choose carefully which ones it will execute. “Best in class” companies manage their portfolio carefully by using a strong governance body to ensure the portfolio is balanced with to risk and project size4. Summary … Google comes to mind as a good example of a company where Ideation has permeated the DNA of the company. In Google, upper management is fully engaged in the Ideation process and an Innovation culture pervades the entire company. Everyone in the company is looking at how to do things better, is invested in developing new exciting products, and has a forward-looking attitude. Even job applicants are asked to present a new product idea during the interview process. Google is a good example of disciplined ideation that results in Innovation Crescendo. 3. Be sure to hire someone experienced in adapting and using these specific types of meeting tools. Ask about the tool’s metrics in advance when deciding on a service provider. 4. See previous posts “Perfecting your R&D Portfolio” and “Optimizing Projects for the Perfect R&D Portfolio”.